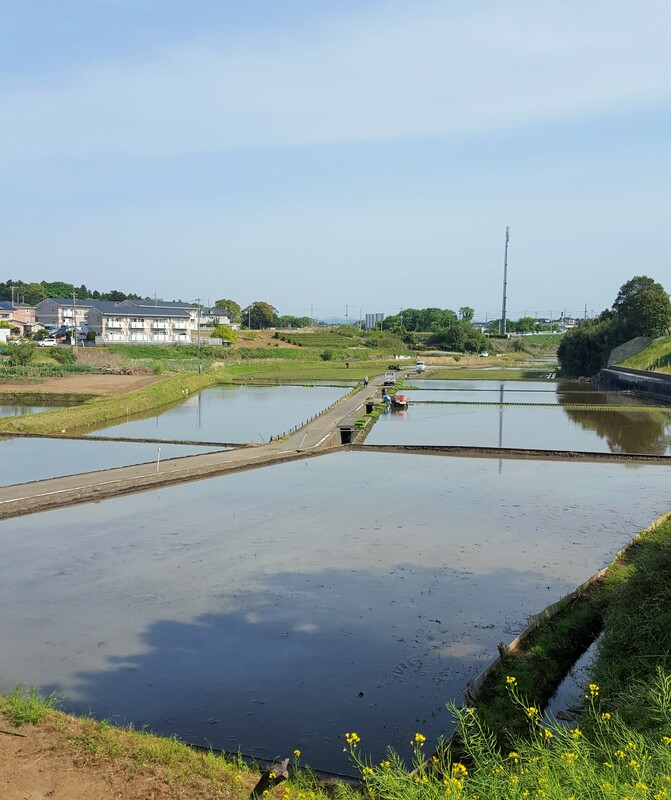 They watered rice paddy at the beginning of this Golden Week. It seems to take a few days to calm down ground surface, because planting of young rice started from yesterday. Mei-Shun enjoys looking such process to grow our dietary staple, walking along a lane through baby greens. Oh, here comes a wild duck couple. A beautiful white egret as well, joining pheasants and swallows.